This light, elegant chair, The Orange was designed in the 1950s by the acclaimed Danish architect, Hans Olsen. Thanks to its classic expression, The Orange chair will complement either a contemporary or more timeless interior as an effortless addition to the existing furniture in the home. 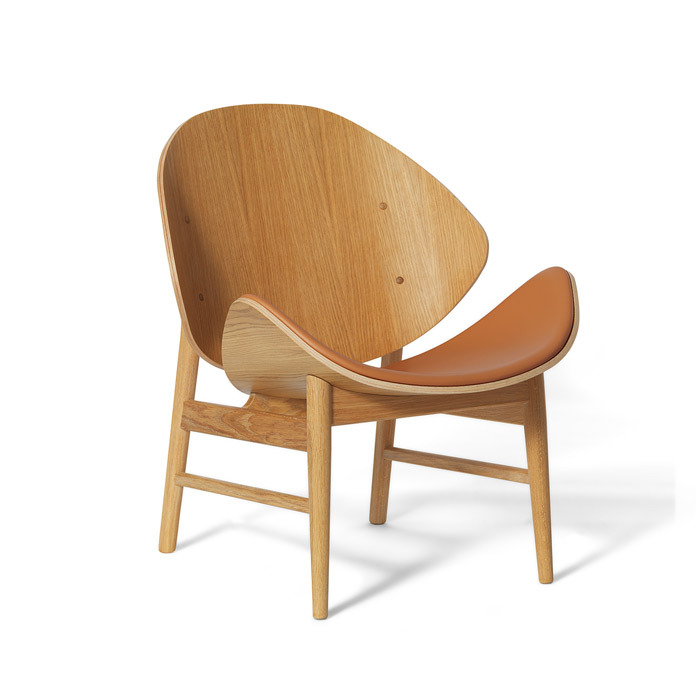 Hans Olsen’s The Orange chair is one of the earliest known shell chairs and acquired its name because of its characteristic back and seat, which are reminiscent of orange peel. Reflecting both the era’s experiments with colour and the architect’s own playful attitude to design, this upholstered shell chair is also available in a two-tone version. Choose from several different exclusive furnishing fabrics from the likes of Kvadrat in a variety of classic colours and combinations from the Warm Nordic universe. The frame is available in the highest quality oiled, smoked or black-stained oak. 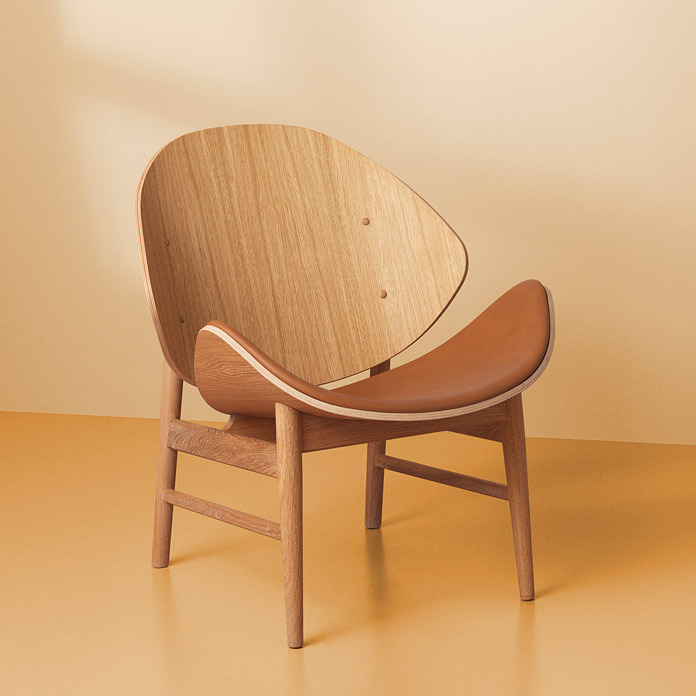 The elegant The Orange lounge chair was originally designed in 1955 by the architect Hans Olsen, whose experiments led to some highly original designer furniture. The chair is also referred to as ‘Model 134’. The Orange lounge chair is characterised by its easy charm and innovative shell construction. As such, the design captures the zeitgeist of the 1950s, when experiments, bravery and skill resulted in world-class furniture. Hans Olsen had an exceptional awareness of line, surface and colour, and in his designs he was not afraid to combine classic values with humour. The Orange chair has been specially selected for the Warm Nordic range as a tribute to iconic Nordic design that invests modern décor with invaluable diversity and depth.